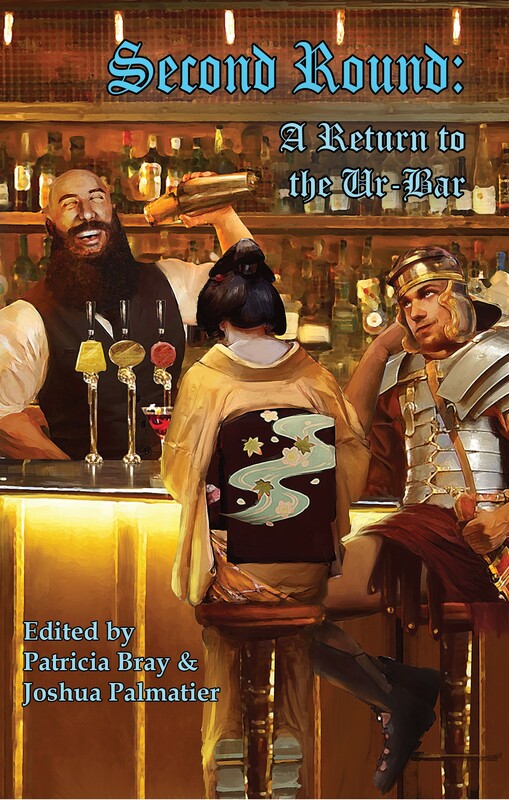 My short story, “West Side Ghost Story,” appears in Second Round: A Return to the Ur-Bar, which is a return visit to the eternal watering hole featured in AFTER HOURS, an earlier anthology from ZNB Publishing. At least I was still in New York. But why am I on the West Side? I always stuck to Midtown during work hours—the never-ending bustle meant less chance of me running into former marks. 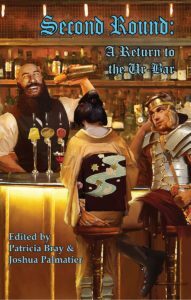 I looked back at the scatter of customers, fingers crossed that there was no one I recognized: an elderly woman in an old-fashioned dress, a pair of younger women whispering over their drinks. A middle-aged man, jacket tossed to the side and tie loosened, staring into his coffee. As I watched, he drifted in and out of focus, then vanished with a sound like a sigh. 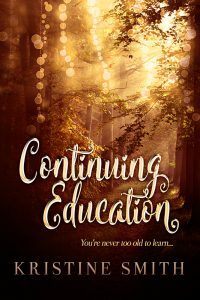 The short story “Continuing Education” first appeared in The Modern Fae’s Guide to Surviving Humanity, edited by Joshua Palmatier and Patricia Bray. It’s about searching for something, and finding it where you least expect. Marketing wasn’t a favorite subject, but I muddled through the four hours of quiz and lecture and breakout session. The instructor’s name was Magory, a wrinkled walnut of a man with the scant remains of a brogue. He had once owned a chain of landscaping companies, according to the faculty directory. Now, he paced back and forth in front of a roomful of doggedly rapt adults, the sleeves of his overlarge sweater flapping as he gestured like a conductor and tried to impress upon us how quickly an idea could snowball once planted in a single mind. I had taken my usual seat by the window, and glanced out every so often at the fading day. The classroom overlooked a picnic area that we had claimed as our own during the summer. It stood deserted now, a rise of still-green lawn dotted with red-berried shrubbery, shaded by a surround of oaks. The umbrella tables and chairs had been stored away for the winter, leaving a pair of stone benches the only furnishing. As the sun set, the gold light of dusk filtered through the leaves, casting the scene in sepia. The place looked older than old now. Ancient. Timeless. The side of my face tingled. I turned to the front of the room to find Magory watching me. He made no comment about my inattention, but continued to lecture, eyes glittery as flint. “All it takes is one. If you remember nothing else I tell you, remember that.” A corner of his mouth twitched. Then he flipped off the lights and tried to turn on the VCR, struggling with it until Neil took pity and helped him. “Modern times.” Magory stood to one side and shook his head, the technically-challenged old timer, and waited until Neil inserted the tape and got the thing going. 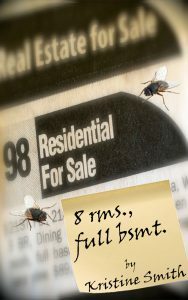 Another light fantasy short story, “8 rms, full bsmt”, is also available at Book View Café. It first appeared in an anthology entitled MISSPELLED, edited by Julie Czerneda. Published by DAW (2008). “Three!” Jamie plunged forward into the dark. “Did you hear me?” I scrambled to my feet and bolted after him, dodging around melted mangles and through a do-it-yourself passageway that had once been part of a wall. An essay of mine entitled “Confessions of a Late Bloomer” appears in How I Got Published–Famous Authors Tell You How in Their Own Words, a collection of how-to/how-I-did-it essays by published writers. The book was edited by Duane Lindsay, and was published by F&W Publications, the Writers Market folks, in late 2007. I felt the first vague rumblings in college. I started writing the story of a young woman rebelling against a repressive regime, and had completed about two handwritten pages when my roommate asked me what I was doing. She laughed in a lightly mocking sort of way, and I…stopped. I didn’t have the wit to reply that every book ever written started on page one. I just stopped.